A huge advantage AND disadvantage to thrift store shopping is the fact that you never know what you will find! Sometimes you find exactly what you are looking for and other times no such luck… Of course, there are the days when you find something awesome, like a great vintage piece, that you buy even though you’re not quite sure what to do with it. 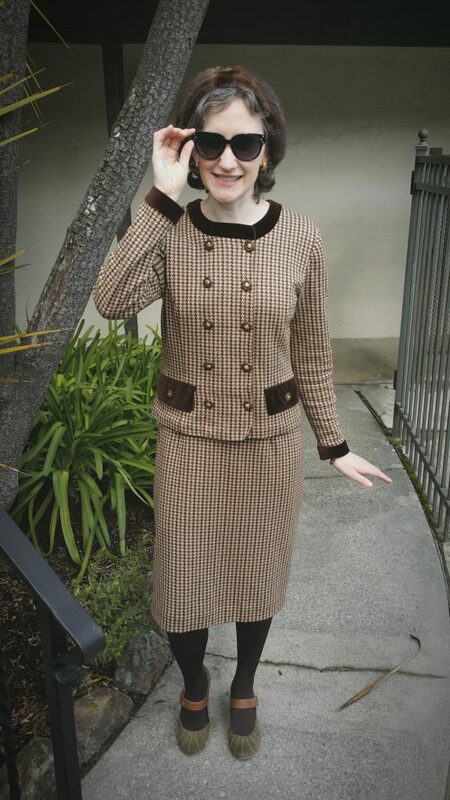 The elements of a great vintage outfit can take months or years to find. When those elements do finally converge in your wardrobe, however, you will be grateful for your patience and for the people who inspired you! This outfit is just such a convergence of pieces. 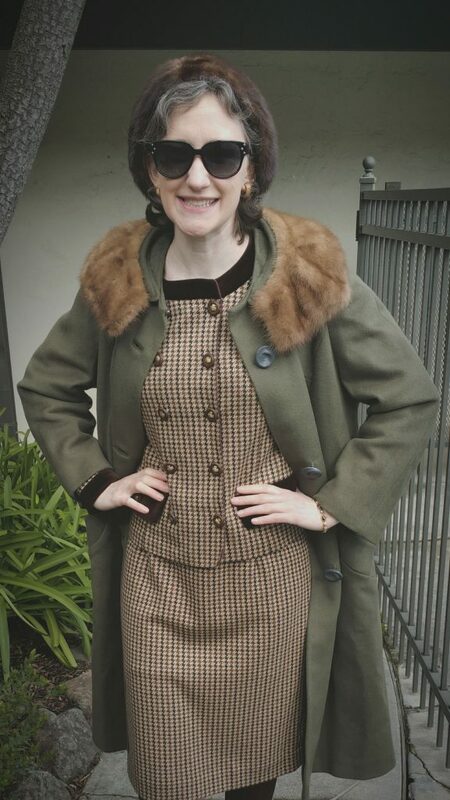 This coat is from the 1960’s and is in perfect condition. The dress, surprisingly, is not nearly as old! Here are the labels in each. I couldn’t believe my thrifting eyes when I spotted this dress recently! Such a cute piece, and it fits perfectly! Some thrift-store-donating person out there is my size and has extremely good taste! Whoever you are, Ma’am, I salute you! This coat was a thrift store score from a couple years ago. My fabulous friend Holly made me get it, and I’m super grateful she did! 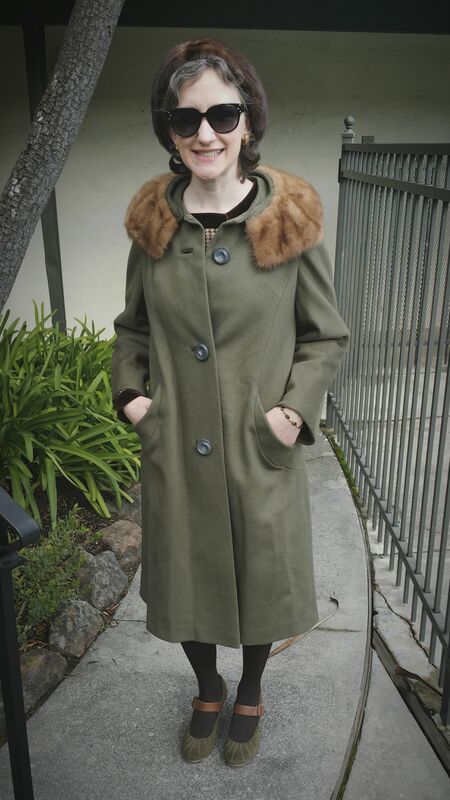 The coat matches my vintage-coat-buy-criteria, namely that the coat must fit comfortably AND be in good condition. 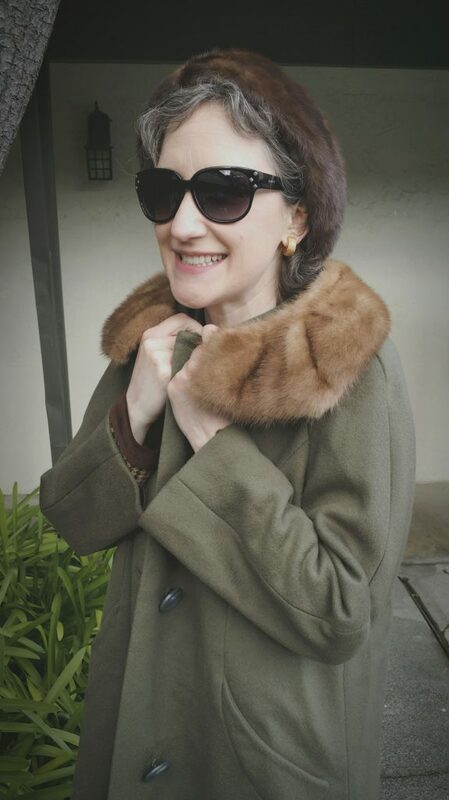 Big shout out to the fashion maven who first bought this coat in the 1960’s and took such great care of it! 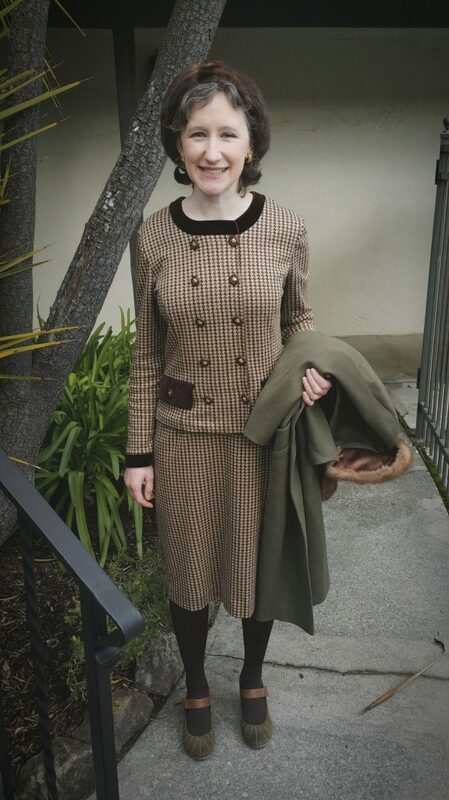 I was shocked at how well the coat matched these shoes, which I got years ago! This coat is surprisingly warm and comfortable! I couldn’t resist pairing it with an almost matching fur hat. My earrings and bracelet are from two of my favorite fashion mavens- my grandmothers! Let’s hear it for grandmothers! DIY Painted Leggings: St. Patrick’s Day Edition!